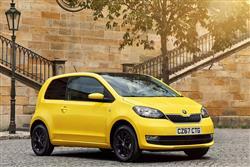 Skoda's first stab at citycar motoring has proved to be an impressive one, this Citigo borrowing Volkswagen technology and blending it with the value we expect from this growing Czech brand. This improved version has smartened up its act and those in search of a beautifully conceived, affordable and impressively space and fuel-efficient urban runabout will need to consider it. 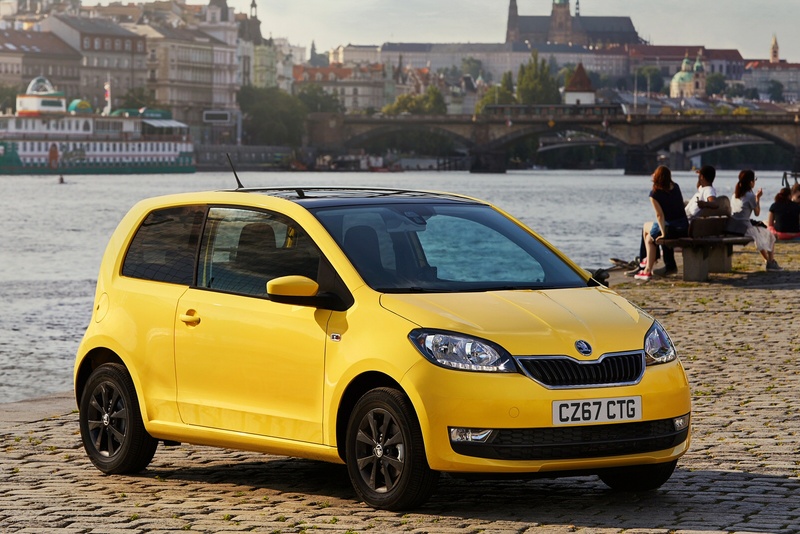 It seems strange that a company like Skoda, which has forged a reputation for bringing us small, keenly priced cars, has almost no track record in the citycar sector. The Czechs have long had a history of bringing us superminis and family hatches but until the Spring of 2012, they'd never tried to sell us a properly compact urban runabout. With this car, the Citigo, all of that changed. It may have marked Skoda's entry into the class but it was soon obvious that this wasn't going to be a car content to merely dip its toe into the water. That was as expected. 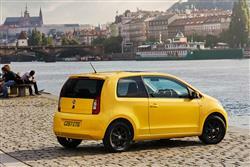 This was - and still is - a re-branded version of the much applauded Volkswagen up!, a car also marketed as a SEAT Mii. 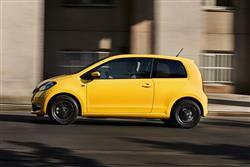 This Citigo though, has usually been able to trump its two stablemates with small but significant advantages when it comes to the all-important value proposition. Now its got a sleeker look and a much nicer cabin, it's even easier to wonder why you'd pay more for the Volkswagen alternative. So. What's it like, this small Skoda? Get behind the wheel and you've a solid, well appointed cabin that promises a solid, well appointed driving experience. Already, you sense, there's a depth of design here missing from this car's French, Korean and Japanese rivals. Most of these feature three cylinder 1.0-litre engines that are busily revvy at best and downright noisy at worst. A configuration shared here, but delivered with a bit more finesse. Fire the engine and a more refined thrum filters out from beneath the bonnet ahead. Not refined enough, it must be said, to quite let you forget the cylindrical imbalance under the bonnet. But then the characteristic offbeat rasp isn't unpleasant and rather suits this design's rather offbeat charisma. You'll certainly be hearing plenty of it if rapid progress is needed, for without a turbocharger to boost torque, this one needs to be revved quite a bit, peak power not arriving until 6,000rpm, only 600rpm shy of the red line. And if you're wondering quite how much power we're talking about, the answer is not a great deal in the mainstream 1.0-litre variants on offer, cars offering a choice of either 60 or 75PS outputs, with an identical 95Nm of torque either way. Most will be content with the base version, capable as it is of sixty in 14.4s on the way to 99mph, quite enough to keep up with the traffic. The performance gains offered by the 75PS variant seem relatively slight (0-60mph in 13.2s on the way to 107mph) but the unit is a little more refined. So what's different with this revised model? Well, the front section has been subtly revised, so there's a new bonnet, a redesigned radiator grille, modified bumpers and updated fog lights, all aiming to create a fresher, younger look. The front headlights are fitted with LED daytime running lights and the fog lights come with an optional cornering function, which lights up the area the vehicle is turning into on junctions with poor visibility. Plusher 'SE' models get tinted tail lights too. The changes have increased this diminutive little car's body length by 34mm but it's still not much longer than a Fiat 500, yet offers far more room inside, space in fact for the four fully-sized adults who could never comfortably fit in the apparently space-efficient Italian car. How has this been done? By shortening the front and rear overhangs as much as the designers dared, something only possible at the front by mounting the radiator alongside rather than in front of the very compact engine. Talking of the interior, well it too has been upgraded with a smarter instrument cluster and redesigned seats. There are also a range of new radio and media connectivity options. Otherwise, things are much as before, with the tardis-like interior just as big as that of Skoda's far pricier and apparently much bigger Fabia supermini. Something you especially appreciate on the back seat. Both three and five-door models offer the same amount of rear passenger space and reach a standard that's impressive in this segment. It all means that there's comfortable room for two adults provided the journey isn't too long and there'd be space for three children if three belts were provided here. Unfortunately, there are only two, which is a little annoying. No complaints about luggage space though. Though there's a high sill over which you've to lump your stuff, once you get it in, there's a 251-litre capacity that's nearly twice what you get in a Peugeot 108, a Citroen C1, a Toyota Aygo or a MINI. Pricing starts from just over £8,000 but most Citigo variants in the UK tend to be sold somewhere in the £9,000 to £11,000 bracket common to this kind of car. There's a choice of either three or five-door bodyshapes and five different trim levels - 'S', 'SE', 'SE L', 'Monte Carlo' and 'Colour Edition'. Avoid entry-level trim and with the base 60PS engine, you'll be offered the option of spending another £360 to get the more frugal 'GreenTech' version of that 1.0-litre petrol unit (the 'GreenTech' tweaks are standard on the 75PS variant). Even if you haven't a family, we'd want to look at paying an extra £350 to go from the three to the five-door bodystyle. Less crucial is the premium of around £400 necessary to progress from the 60 to the 75PS engine. But urban owners may want to look at paying just over £500 more for the ASG automatic transmission. Across the range, new-generation 'Blues' and 'Swing' radio packages offer more connectivity options - ranging from an aux-in socket to an SD card slot and a USB socket. A colour display, six speakers and a Bluetooth connection are added to the 'Swing' set-up. Using this, the system can be connected to the driver's smartphone, which is stored in a special smartphone holder on the dashboard. The apps running on the iOS and Android smartphone operating systems provide navigation, a driving data display, hands-free phone calls as well as playing music and the radio. This Skoda simply has to be super-affordable to run. It is. Thanks in part to a low kerb weight of only around 850kg, even the least efficient entry-level 60PS models will return a combined fuel economy figure of 64.2mpg, with emissions pegged at 101g/km. Figures you can improve to 65.7mpg and 100g/km by opting for the efficient ASG automatic gearbox, at just 30kgs in weight, one of the lightest auto gearboxes ever made. Those looking for better economy still in their 1.0-litre 60PS Citigo will be drawn inexorably to the 'GreenTech' model which features low rolling resistance tyres, a battery regeneration system and a stop start system that cuts the engine when you don't need it in traffic or at the lights. As a result, it can return an impressive 68.9mpg on the combined cycle and emit just 96g/km of carbon dioxide. Go for the slightly pokier 75PS variant and there's hardly any penalty at the pumps. Skoda includes its efficiency package (with start/stop and everything else) as standard with this engine, so the returns achieved - 68.9mpg on the combined cycle and 98g/km - are quite impressive for a car of this kind. 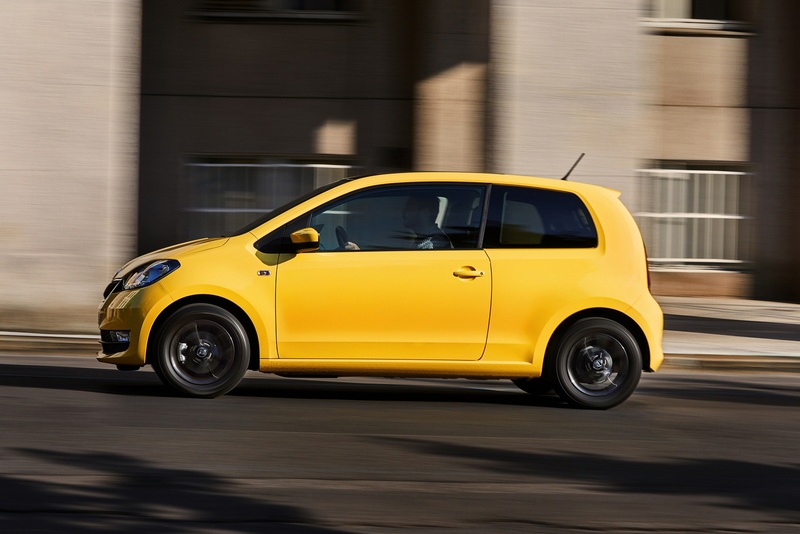 Whether you opt for your Citigo with 60 or 75PS, the benefits of the efficiency package are important given that they take this car below the 100g/km barrier, delivering all kinds of tax benefits. 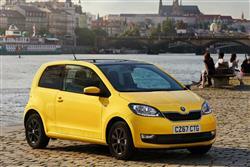 If you�re looking for a new SKODA Citigo 1.0 MPI GreenTech S 5dr Petrol Hatchback for sale, you�ve come to the right place. 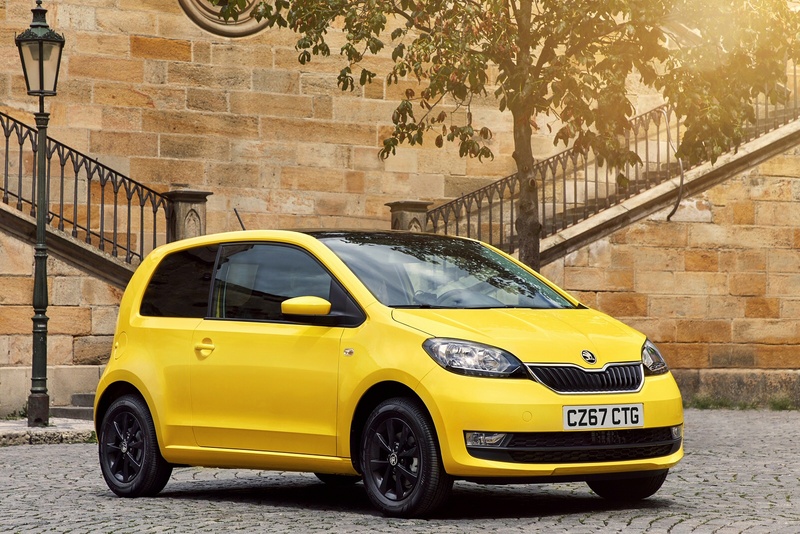 At Bristol Street Motors we don�t just have the best SKODA Citigo 1.0 MPI GreenTech S 5dr Petrol Hatchback deals, we also offer friendly advice and help with all your enquiries to ensure your buying experience is a happy experience.